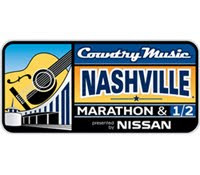 A tradition second only to live music on Broadway Street, this past weekend brought the Country Music Marathon to downtown Nashville. The last few years brought unpleasant weather but not this year. The temperatures provided a cool crisp start and the sun was out for the entire race. With over 30,000 participants this might go down as one of the best races in recent memory. Congrats to all the finishers. A number of first timers and personal bests!